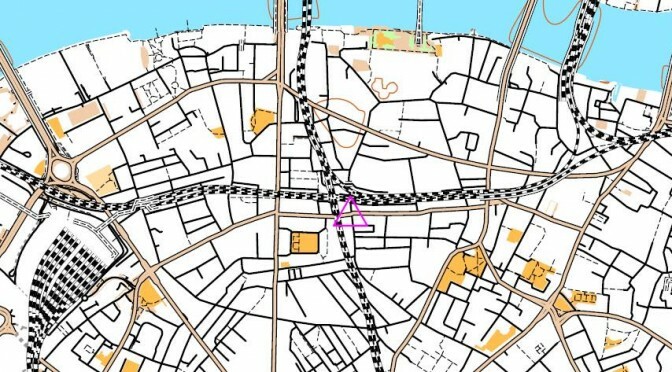 In world record time, here are the Race Results from tonight’s Isle of Dogs Street-O, and the Series Results have also been updated. Almost 100 intrepid racers made it out to Crossharbour to enjoy the course set by Anders on what was a nice evening. We have new faces as winners this time, with Graham Law scoring the most points on the night closely followed by James Lambert; and Emily Budd the leading woman closely followed by Alison Hawe. I hope you can join us for the season finale in the Earl’s Court area on Tuesday 8 May – there’s still all to play for in the league including the overall winner’s title. Details to follow shortly.